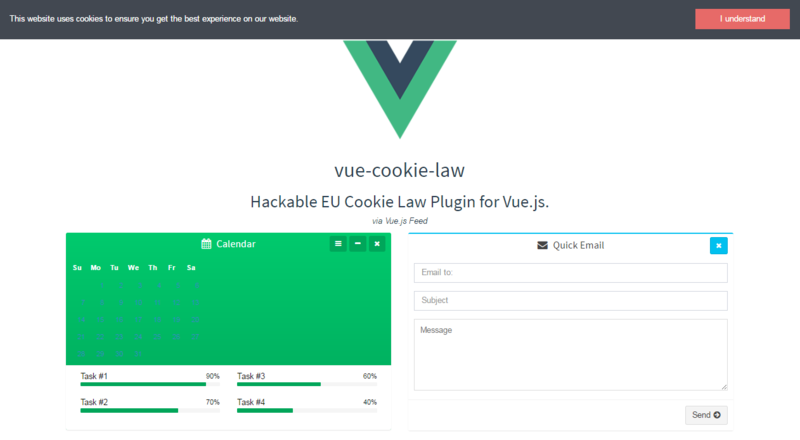 The Hackable EU Cookie Law Plugin for Vue.js, can help you comply with the law by providing a notification bar, which can be custom, to display your own message and make use of your own theme. Below you will find a usage example of this plugin and the features it is offering. The plugin is offering props regarding the position, message & button text, transitions and themes (currenlty 4 available, you can create your own). The Vue Cookie plugin is available here, along with everything you need to get it started.